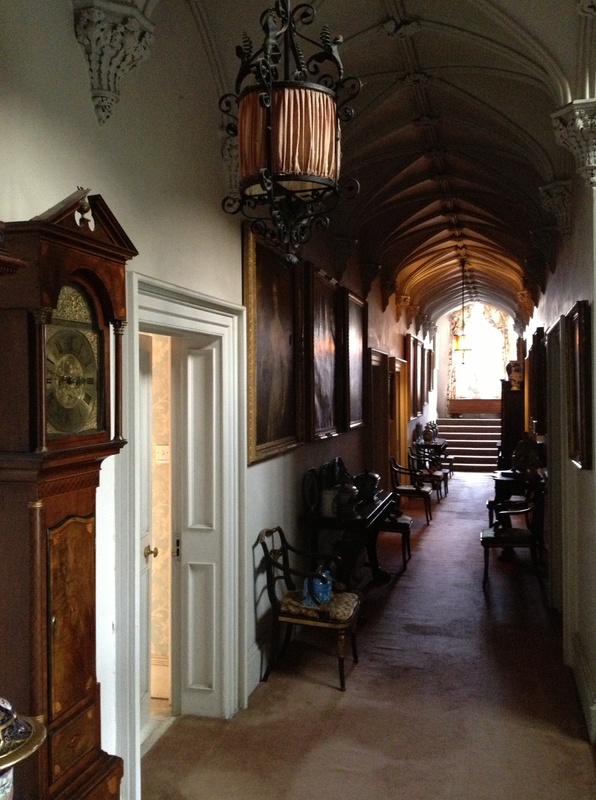 The first floor bedroom corridor of Birr Castle, County Offaly, essentially a simple classical passage overlaid with Gothic decoration such as the Perpendicular sprung ceiling which contrasts with the plain panelled doors. The other pleasure of this space comes from the way it has been decorated with a mixture of family portraits, mahogany furniture and blue & white china to form a harmonious whole. This entry was posted in Architectural History, Country House, Irish Castle and tagged Architectural History, County Offaly, Georgian Architecture, Historic Interiors, Interior Decoration, Irish Country House, Stately Home, The Big House.